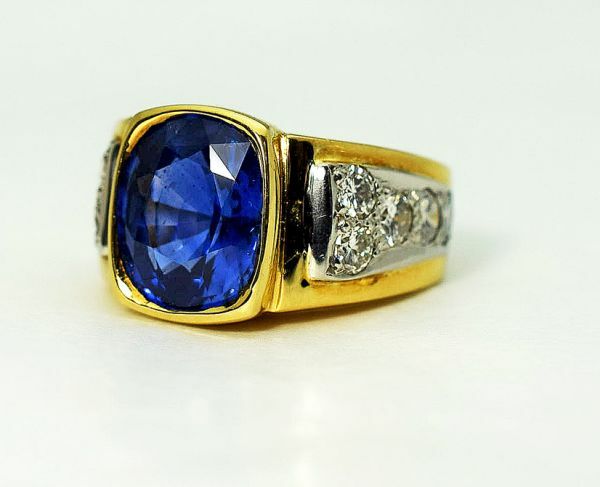 A stunning vintage platinum and 18kt yellow gold ring featuring 1 cushion cut deep intense blue sapphire, est. 9.06ct and 10 round brilliant cut diamonds, est. 1.16ct (clarity:VS-SI1 & H-I colour). 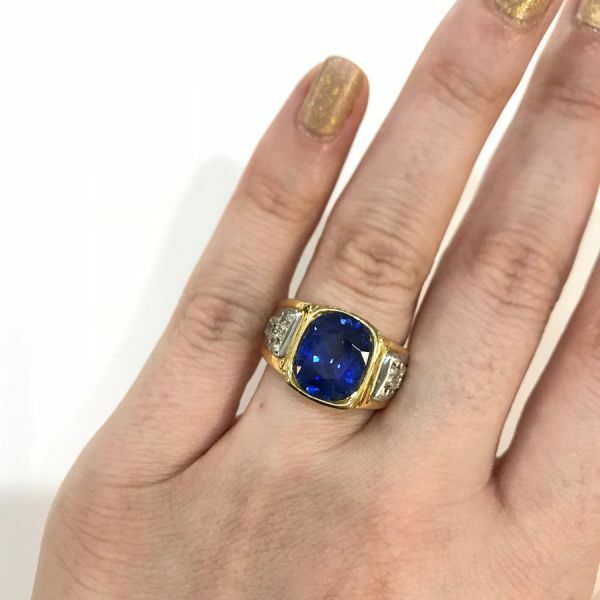 Please make an appointment to see this stunning sapphire and diamond ring.